Sacred Heart Health System in Pensacola is expanding its commitment to children’s health with the addition of a new four-story pediatric facility to be known as The Studer Family Children’s Hospital. 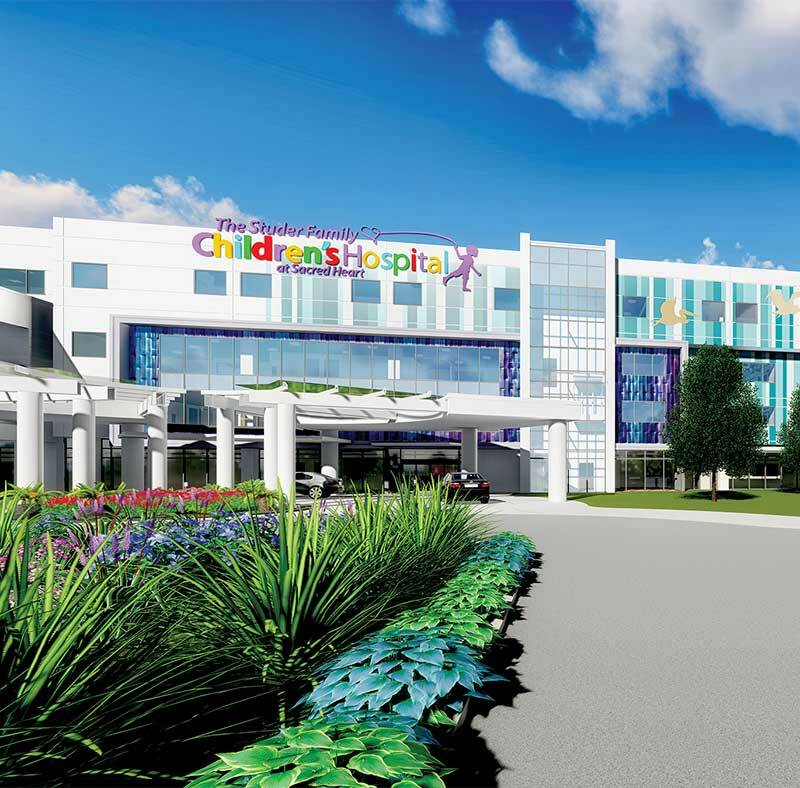 The hospital, expected to open in 2019, is being built in front of the existing 117-bed Sacred Heart Children’s Hospital, which annually serves more than 35,000 patients from Mississippi, Alabama and Florida. It is the only hospital in Northwest Florida dedicated exclusively to children.